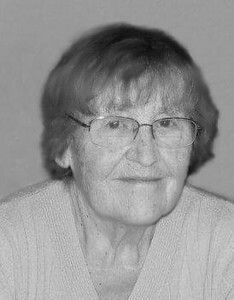 Waltraut Polok, 89, of New Britain, died unexpectedly at home on Thursday, Jan. 31, 2019. She was a loving and devoted wife, mother, grandmother and great-grandmother. She is survived by her children: Sabina of Germany and Witold Szewczak and his wife Malgorzata of New Britain; her adored grandchildren: Dorothy, Adam, Tina, Vanessa, Vicky, Christopher and Ala; six great-grandchildren and many relatives in Germany. Waltraut’s funeral service will be held on Wednesday, Feb. 6, at 10:30 a.m. at the Duksa Family Funeral Homes at Burritt Hill, 332 Burritt St., New Britain. She will be laid to rest beside her husband in the Polish National Catholic Cemetery, New Britain. To share a message of sympathy with her family, visit www.duksa.net . Posted in New Britain Herald, on Sunday, 3 February 2019 20:02. Updated: Sunday, 3 February 2019 20:04.